#5 Theodore Roosevelt – What can you say about a President that won the Nobel Peace Prize, was the first to ride in an airplane designed by the Wright Brothers, had a photographic memory, inspired the Maxwell House slogan and the “teddy bear,” and was the youngest voted in office? While he may be fifth highest in film popularity, he’s probably #1 in Toughest Presidents Who Ever Lived. This guy took a bullet to the chest before a campaign speech, and still gave his speech! Unfortunately his boss McKinley wasn’t as impervious to conventional weaponry and “Ted” was ushered into the head position. 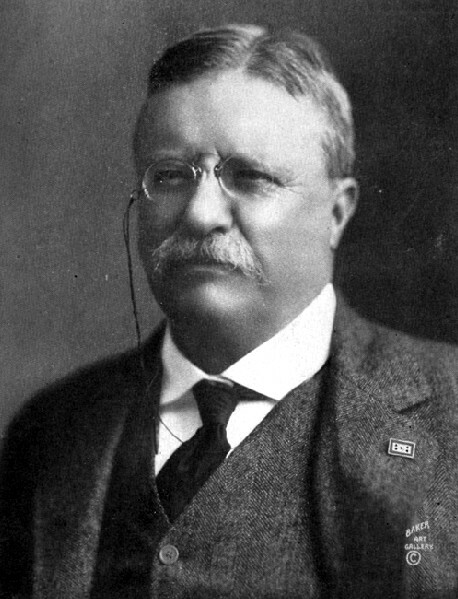 Boxing, hunting, writing, starting the National Forestry Service, buinding the Panama Canal… Theodore Roosevelt deserves his own movie, but for now the 26th President comes in with 27 appearances in the world of film. 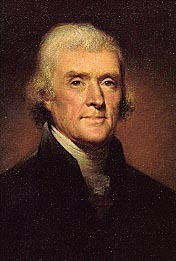 #4 Thomas Jefferson – Pea-loving President Thomas Jefferson (the guy cultivated 15 types of English Pea). Jefferson’s influence is seen all across America; virtually every state has a city or town named Jefferson, as well as a Jefferson County. Aside from that, he was known for his 6,000 books becoming the basis of the Library of Congress, keeping bears from the Lewis and Clark expeditions caged on the White House lawn, playing the violin, and owning 200 slaves. He also oversaw the Louisiana Purchase, was a member of Congress, governor of Virginia, Minister to France, and was Vice President under John Adams. The “Big Cheese” is a cut above Roosevelt coming in with 30 appearances in cinema land. 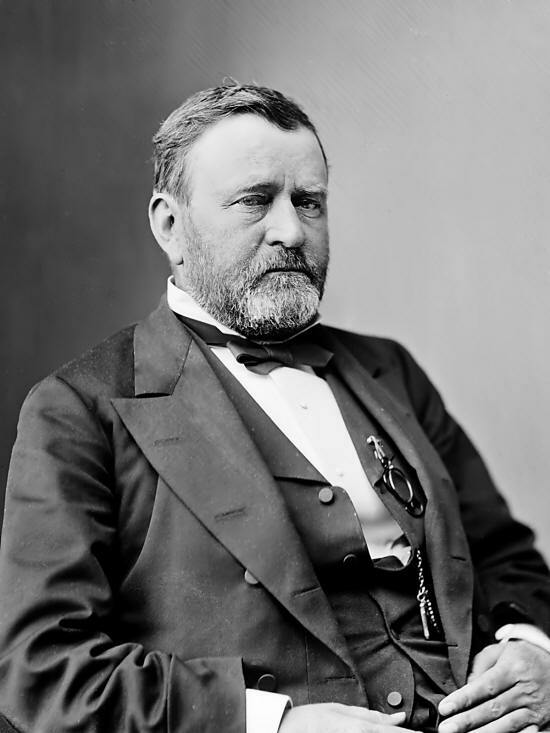 #3 Ulysses S. Grant – Named for his grandfather Hiram and the Greek hero Ulysses, he changed his name before going to West Point because, let’s face it, H.U.G. ain’t manly. Grant was more renown for his Civil War record which included the taking of Forts Henry and Donelson, the Vicksburg campaign, and accepting the surrender of Robert E. Lee at the Appomatox Court House. While he was probably one of the greatest military strategists and leaders, his presidency was lackluster. Of note, he did show support for African Americans. Losing a “third term” election try he went into retirement nearly bankrupt due to bad investments and throat cancer, which he tried to “cure” using cocaine. Just before dying he published his “Memoirs,” which brought in $500,000 for his family. General-come-President Grant storms up the list past Jefferson with 35 appearances in movies. 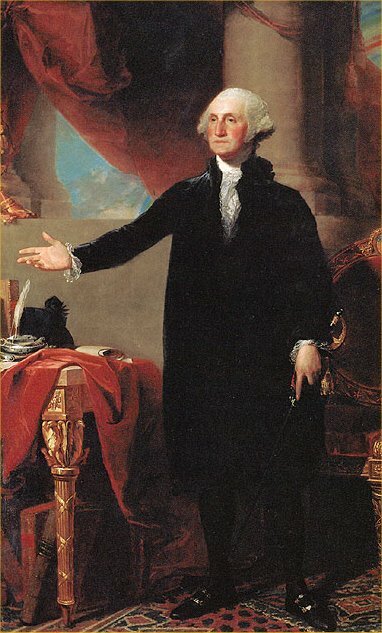 #2 George Washington – The first person to be inaugurated as President of the United States (there had been a few others running the country until the position was created) we all grew up hearing the stories of how he chopped down a cherry tree, he had false teeth, etc. While some of this stuff is debatable myth, here is some more trivia: he loved fishing and fox hunting, always carried a portable sundial, once issued an order forbidding swearing in the U.S. Army, was the first Masonic President, grew hemp on his farm, freed all his slaves, and wore size 13 boots. America was just beginning when he was in office so instead of living in D.C., he mainly hung out between Mount Vernon and Philly. He and Thomas Jefferson were the only two people to sign the Declaration of Independence and go on to become president. Number One takes a Number Two in overall cinematic popularity, appearing in motion pictures 51 times (not counting dollar bills). #1 Abraham Lincoln – Honest Abe. The first to be born outside the original 13 colonies (Kentucky!) at an early age his family moved to Illinois. From that point he grew up and took several jobs, including working as a deck hand on a flatboat. His real interest was in politics, becoming a member of the Illinois House of Representatives, teaching himself the bar exam, becoming a lawyer, and finally getting elected to the U.S. House of Representatives where he spoke out against President Polk and the Mexican-American War, saying, “God of Heaven has forgotten to defend the weak and innocent, and permitted the strong band of murderers and demons from hell to kill men, women, and children, and lay waste and pillage the land of the just.” Fearing political backlash, he stepped away from reelection and focused on being a lawyer. The political itch came back in 1854 and he then took to campaigning against slavery (Lincoln-Douglas debates) and running as an underdog, campaigned for the Presidency. The rest is history… Other interesting trivia: he suffered from depression/melancholia, loved wrestling, had a cat named “Bob,” and has a patent for lifting boats over shoals. If you haven’t noticed his likeness is on the penny, the $5 bill, a stamp, and Mount Rushmore. And if you’re not Lincoln’d out yet he’s number one with a bullet: 106 appearances in movies. Franklin D. Roosevelt: 21 times. Other trivia note: John Tyler, James Buchanan, and Warren G. Harding have NEVER been in a movie. I see you have some interest in the film classics. Perhaps you would consider writing a piece for our Bijou Blog? 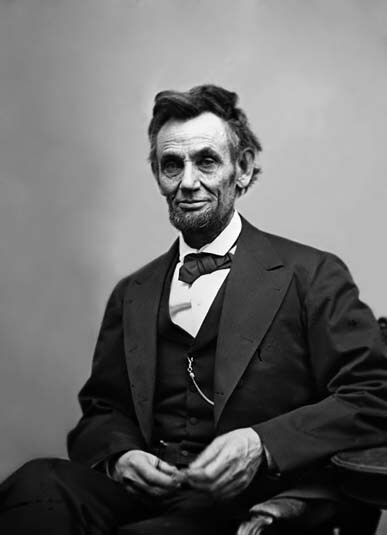 Secondly, Lincoln did not decide not to run for re-election to his seat in Congress, instead he and the men who preceded him in that district had made vows to only serve their two-year terms, then refuse to run for re-election until perhaps later. Lincoln, having made the promise, was bound to it. That’s all for starters…otherwise, pretty interesting.